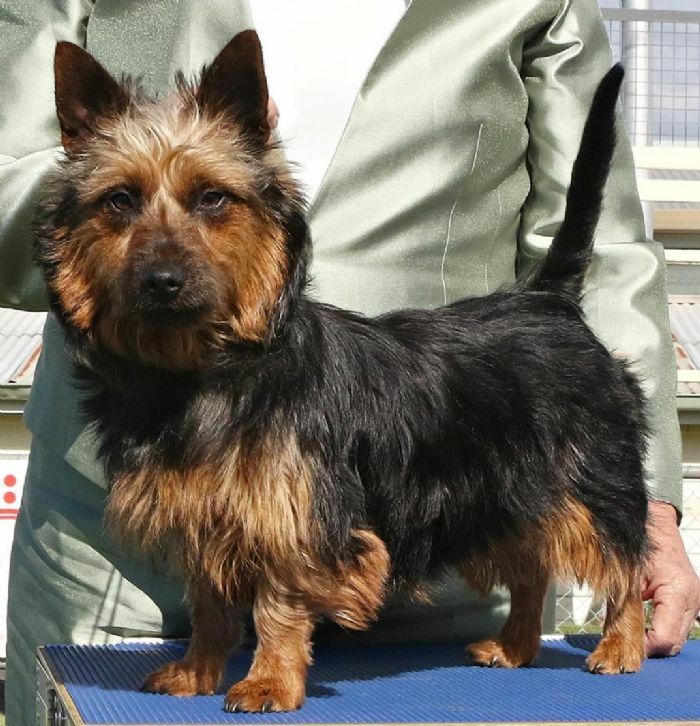 Tilly (DOB 20.2.2017) is a beautiful blue/tan Australian Terrier. 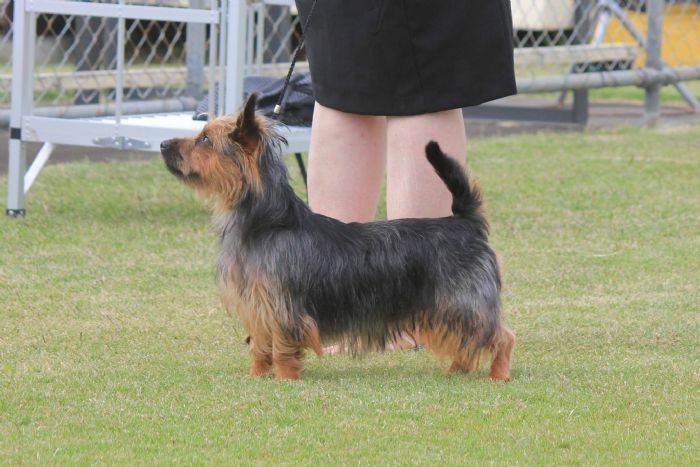 She was bred by Jean Lemon (Lemonlee Australian Terriers). She was the first of our Aussie girls. She has a loving, kind and gentle nature. 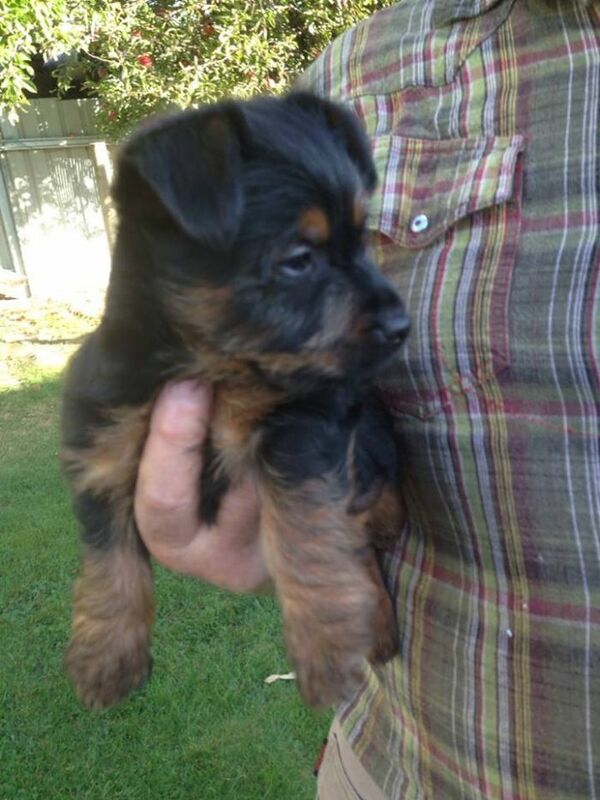 She quickly became part of our family and gets on really well with our dog family. Tilly began her show 'career' well by winning a number of Baby Puppy and Puppy in Group classes and showing great promise in the show ring. Tilly has had a very successful show career, winning numerous 'Best in Group' classes and multiple 'Best of Breed' classes. 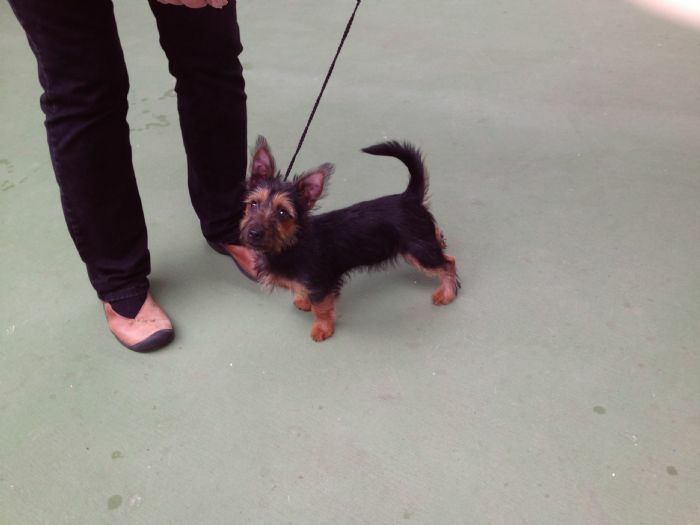 She also won 'Puppy in Show'. She gained her championship title at just 9 months of age. 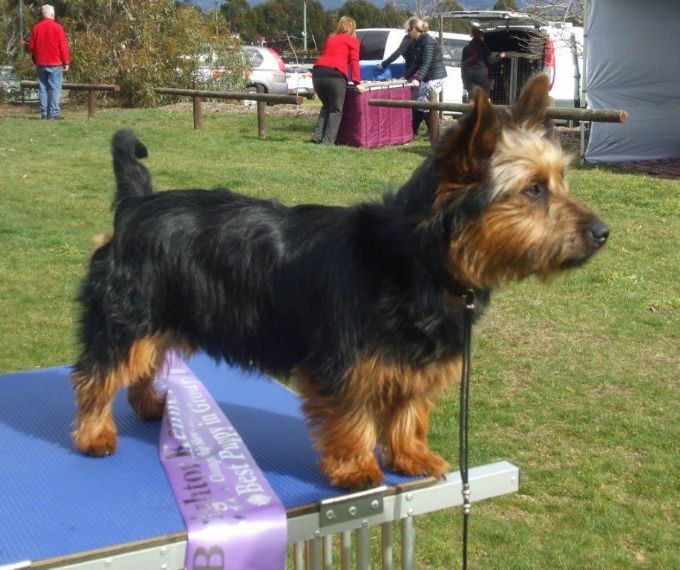 After competing in all of the major shows in Tasmania, Tilly has successfully gained over 100 points at just 9 months of age, qualifying as Australian Champion at Longford on 16th December 2017. 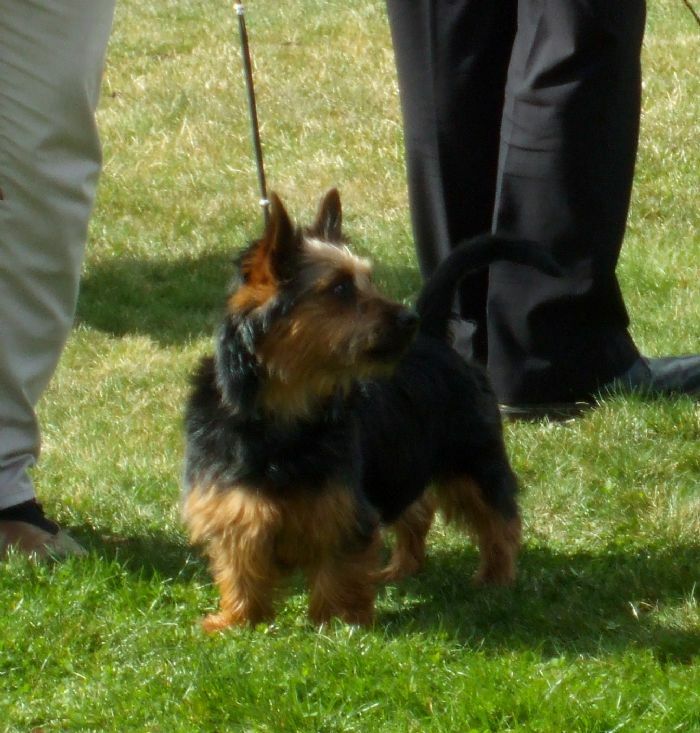 One judge, when awarding Tilly 'best of breed' commented - 'long, low and blue - excellent breed standard'. We think she is beautiful too. In July Tilly and Aussie's first litter of 3 puppies was born.Tilly was a wonderful mother as she is so kind and gentle. The puppies grew quickly into beautiful healthy active little Aussies. 2 of them have now gone to their new homes and one girl, Daisy-Belle will stay with us and begin her show career in October at Hobart Show. She has definitely inherited the lovely temperament from both her parents. She is quite bold and loves exploring so I am hoping that she will cope well with the pressure of showing. 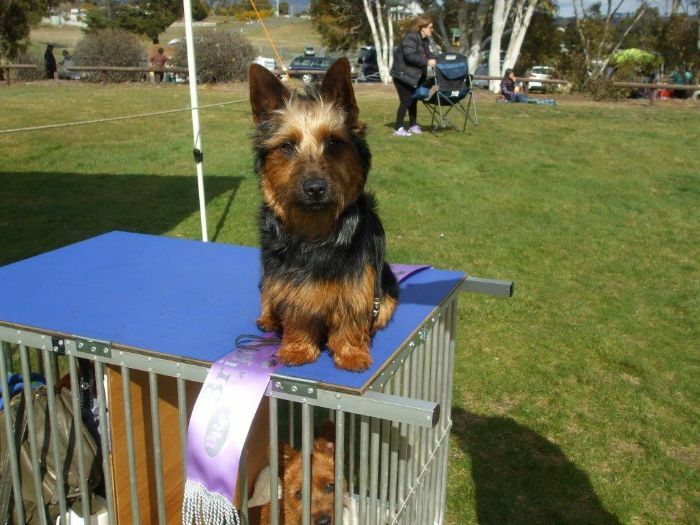 Tilly at her first show. 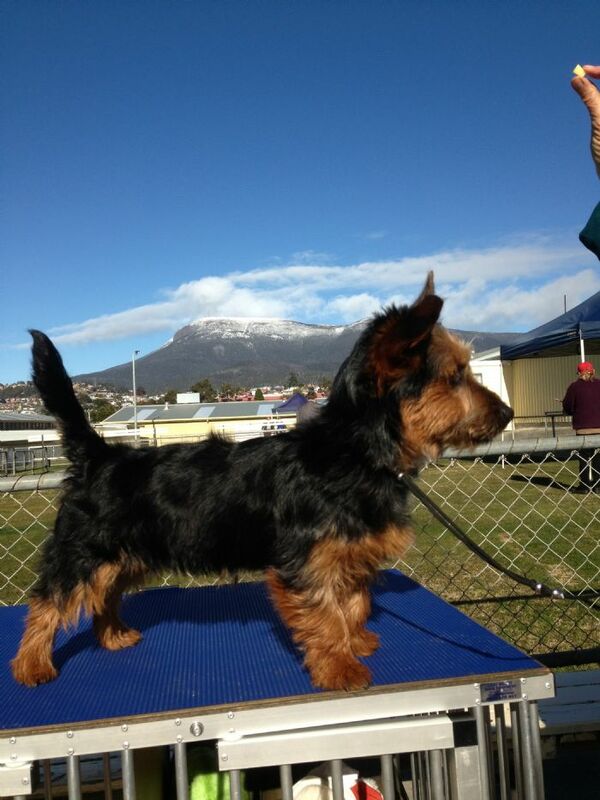 Tilly at Hobart Show Grounds - Glenorchy (note snow on Mt. Wellington).